Mumbai: Joe Root on Saturday rued the dropped catches of India skipper Virat Kohli and Jayant Yadav as the home team managed to take an upper hand in the fourth Test against England by earning a handy first-innings lead. Kohli struck an unconquered 147, batting almost the entire day after being dropped on 68, while Yadav remained unbeaten on 30 following a let off on eight, as India reached 451 for seven at the end of the third day play in reply to England's 400 and nosed ahead on a spinning track. "After that middle session in the way we got ourselves into a pretty good position, it was quite frustrating that we couldn't take the wickets at the back end there. It just proves that when you create those half-chances you got to make sure you take them," said Root after India recovered from a mini collapse, when they had lost four wickets in a jiffy to be struggling at 307 for six before fighting their way back. England had clawed back in the second session of play by claiming four quick wickets, including that of opener Murali Vijay (136) before India grabbed a 51-run lead with three wickets still remaining. However, Root termed the dropped return catch by Adil Rashid off Kohli as a very difficult chance. 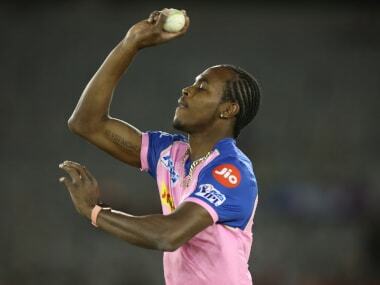 "Rashid put down a very difficult catch on the follow through. I can't blame him. It was a marginal half chance, at best. He played exceptionally well today. We have to just accept that," said Root at the end of the day's play. "It will be silly now to look back at today and think what chances slipped through our grasp. Most important thing is that we look forward, look to tomorrow and we take those three early wickets when we get those opportunities. "When it comes to batting we will look to put pressure back on them and be positive just like we were in the first innings. 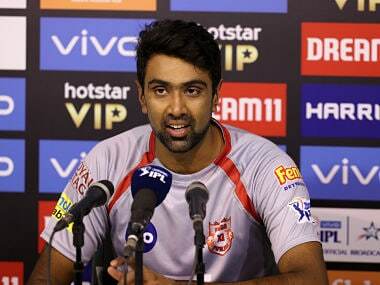 If we can do that well then we have got a really good game on our hands," he said optimistically. 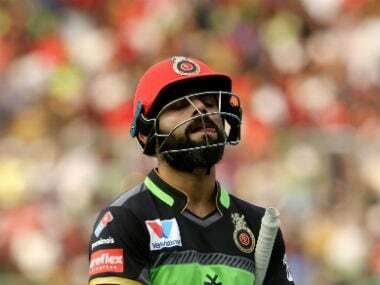 Praising the knocks of Vijay, who batted for 344 minutes while scoring his eighth hundred and second of the series, and Kohli, who stayed at the crease for 359 minutes today, Root said: "Both played very well. They have good balance between defense and being aggressive. On a wicket like that it makes it difficult to bowl to them in the sort of form they were. Both deserved the scores they got." Root said he liked to go toe to toe with the aggressive Kohli whose combative attitude, he felt, brought out the best in him. "He's obviously very driven, very emotional and ambitious. He wears his heart on his sleeve. I won't call it intimidating or anything like that. It's quite good to play against such guys who express their feelings and try to make you feel uncomfortable. Personally it gets me in a good place and makes me perform at my best,' he said. Asked whether England had read the track wrong when opting for a fourth pace attack on a spinners' wicket, Root explained: "Throughout the series we got lot of reverse swing. And we have seen that from both sides. But the nature of this wicket and surface is different. We thought there was a bit more for seamers. "In the hindsight we would have liked to play another spinner but we have to look forward and not think about things which are out of our hands." Asked about coming on to bowl as a stop-gap spinner and grabbing two wickets in four balls with his off breaks to send back Parthiv Patel and Ravichandran Ashwin, Root said it was the captain's call to bring him on. "As far as decision to bring me on, that decision was initiated by Cookie before we left the field." When a question was put to Root, who is tipped to take over as captain after Alastair Cook, whether he was ready to lead the side, 25-year-old said: "I will have to think about it when that happens. Cookie is doing a fine job. It's important to think about the next two games and level the series.